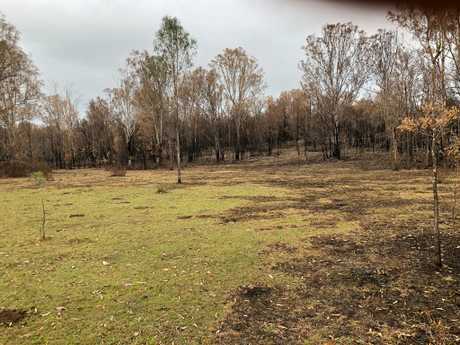 A QUEENSLAND farmer whose family had to fight for their lives during last year's bushfires claimed the State Government failed to approve his repeated requests for a backburning permit. Tom Marland said that in a "cruel irony" - after the fires decimated his family's 4000 acres north of Gin Gin - he received an application to backburn for 2019. "I don't really blame (the Department) Parks and Wildlife, but we applied for that permit in December 2017," he said. 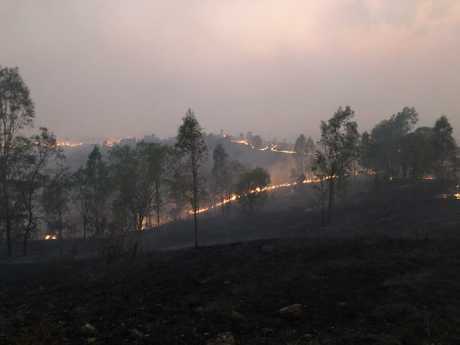 "My dad, who is 70 years old - he's very cautious and nervous about fires, he went into the (department's) offices three times in October and was told it'd been approved. "We are still waiting for a permit or even a phone call." 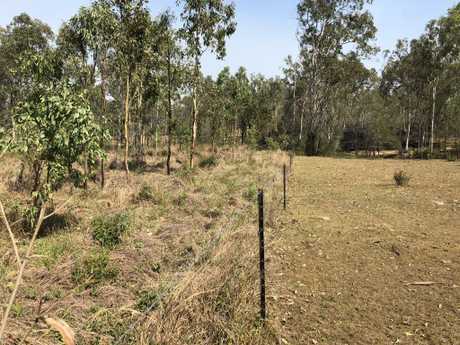 Mr Marland's family bought a 160ha state forest lease that adjoined their freehold property called Mt Wallaby in 1996, in a bid to manage noxious weeds and feral animals that flowed onto their home. Then in 2006, the family's lease was converted to a national park. A 6km backburn in open grassland country to contain the fire in and around the Bulburin national park. Pic supplied by Tom Marland. There used to be 600 cattle on the leased land but it's since reduced to 250 due to lantana and regrowth. The family lost "a lot of calves" during the fires but were able to save most of their adult cattle. Mr Marland lives in Bundaberg with his wife and three children but his parents live on the property. 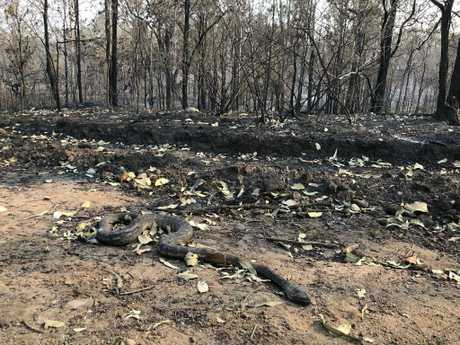 "The fire burnt with such intensity, fuelled by extremely high fuel loads, that 300-year-old river blue gums burnt at the stump," Mr Marland said. "These trees were probably saplings when Captain Cook arrived and have survived 300 years of European settlement. "At one point there, we were trying to save our own lives. "It was a close moment where I thought people were in serious, serious danger." 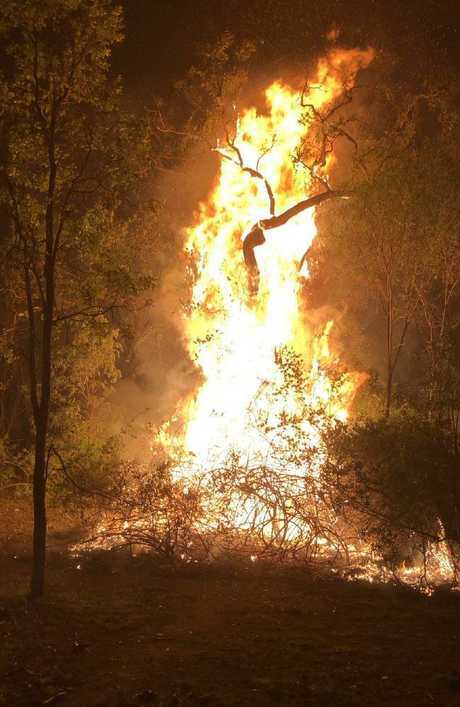 Picture supplied by Tom Marland of a tree engulfed in flames. This photo was taken at 10pm at night during a back burn. 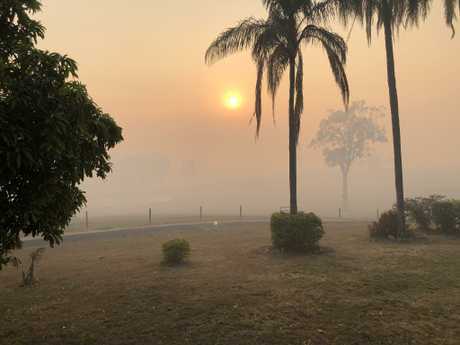 A Federal Parliamentary inquiry will be held into Queensland's bushfires, with the wide-ranging probe to examine whether green-inspired laws exacerbated the fire disaster. Mr Marland said last year's conditions were made more difficult because of government guidelines. "Sometimes in the bush we feel like we're alone and no one is listening and we're fighting so hard," he said. 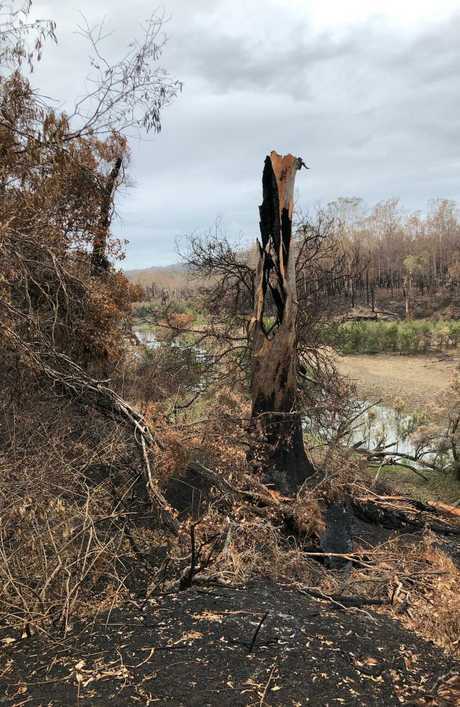 Pictures supplied by Tom Marland of his burnt out property including what he says is an ‘old’ blue gum destroyed on the banks of the Kolan River. 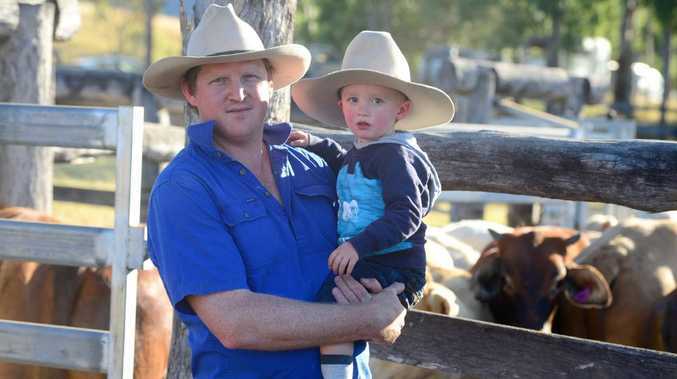 "It gets frustrating because farmers - just because of the political situation in Queensland between Labor and Greens - we are always the bottom denominator, and our interests are always traded off for inner city Green preferences." A Department of Environment and Science spokesman said it could not comment on individual cases. "Queensland is no stranger to natural disasters but the fact we're experiencing greater, more intense and more frequent natural disasters because of climate change can't be ignored," he said.